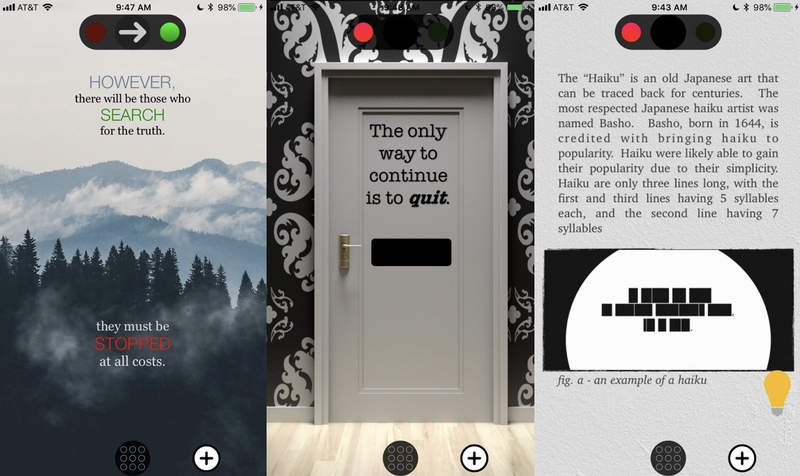 If you’ve enjoyed games like Blackbox or The Guides, you’ll want to keep an eye out for Chain Reaction Games’ The Company Game, a mysterious puzzler releasing in September that was, impressively, developed by a 14-year-old. It takes some inspiration from these games but stands out on its own due to its underlying story you unravel bit by bit, as well as the way it plays with the concepts of truth and lies. You’re told that The Company is evil, but is that true? I’m still guessing yes, but I haven’t finished the game yet. There’s certainly some strange stuff going on and this Company is up to something. I don’t want to spoil too much here, but the game has managed to stump me a few times and delight me on several occasions. I love seeing developers use the iPhone’s unique capabilities to build puzzles that wouldn’t be possible on other platforms. But the cryptic story is what really keeps me coming back for more. And I still can’t believe this was made by a 14-year-old. I feel very inadequate right now. As with The Guides, some levels need to be revisited later, either to find a clue or to enter a second solution. All the information you need is there if you’re perceptive enough, but I confess that the inclusion of a free hint button was a bit too tempting at times and I used a couple of them. But going forward, I’m going to try to avoid doing so, as these games are always more fun when you solve them yourself. And on that note, I’ll mention that I do have a gameplay video below but it spoils the solutions for the first twelve levels. So watch it at your own risk and don’t feel obligated to view the whole thing. It’s a game that’s certainly worth checking out yourself, and it’s best to go in knowing as little as possible. It’s also only $0.99 to pre-order, with the price going up to $1.99 for release on September 6th. I should have more impressions on it closer to that date, but if you want to save a little money, go ahead and pre-order it now. He’s only 14? That’s amazing!